Registration - April 29th, Monday 1pm- 7pm & April 30th, Tuesday 1pm- 7pm. @ VV Early College Campus - Library. Please select link above to view additional information. The National Student Employment Association (NSEA) declares the week of April 14-19 as National Student Employee Appreciation Week. Valley View defeats Brownsville Veterans, punches ticket to state tourney! 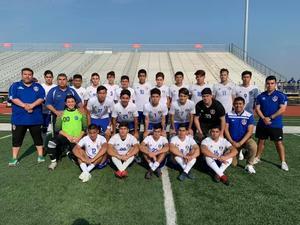 Valley View defeated Brownsville Veterans Memorial 3-1 on Saturday in the Region IV-5A final at Cabaniss Field to earn a return trip to the coming week’s UIL state tournament in Georgetown. 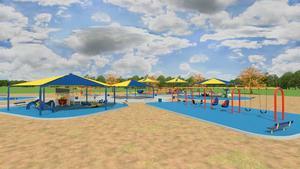 Valley View ISD, Precinct 2 partnership spawns new all-inclusive park! Congratulations to Lucas and North Elementary for their Blue Ribbon Nomination!! VVE & VVS receive Resolution from State Board of Education for being a National Blue Ribbon Campus! 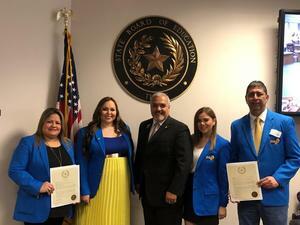 This past weekend representatives from Valley View South Elementary and Valley View Elementary attended the State Board of Education meeting where they passed the resolution to honor 2018 Nation Blue Ribbon schools. Again, we would like to congratulate administrators, staff, students, and parents for this great accomplishment and are looking forward to more tigeriffic greatness. Keep up the great work tigers!! Soccer Regional Semifinals: Tigers vs. San Antonio Southwest Friday, April 12th @ Cabaniss Field, Corpus Christi 12:00 p.m. Join us! 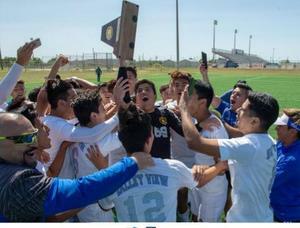 Congratulations to our Mighty Tiger Soccer Team! 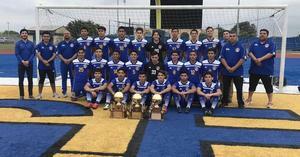 Congratulations to our mighty Tiger Soccer team for defeating Laredo Martin in overtime last night 1-0 in the area playoff soccer game. Our boys will now face the Sharyland Rattlers in the regional quarterfinals this Saturday, April 6, 2019 at 6:00p.m. Way to go Tigers! 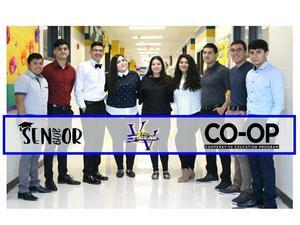 All students who complete this application will be eligible to participate in the opportunities provided by Valley View STEM ECHS or Valley View STEM Collegiate. Priority will be given to applicants who are enrolled at Valley View ISD during the 2018-2019 school year. Applications will be made available online on February 13, 2019. The final deadline for all applications is March 29, 2019, by 5:00 PM. April 12th, 2019 9:00 a.m. to 12:00 p.m.Come and get informed!!! 18-19 Feria de Transición Auditorio de la Preparatoria de Valley View Viernes, 12 de abril 2019 9 am to 12 pm Venga e infórmece!!! !